This RadDateTimePicker fully replaces the functionality of the RadTimePicker and RadDatePicker controls. When you use a RadDateTimePicker control you might want to specify that you need to use the calendar or the clock independently. 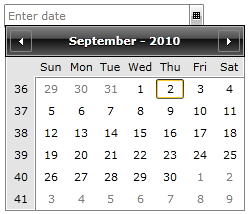 DatePicker - with this input mode your RadDateTimePicker control will show only the calendar view. TimePicker - this input mode lets your RadDateTimePicker control show only the clock view. 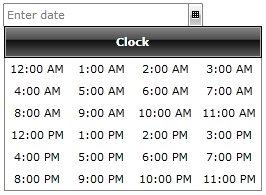 DateTimePicker - this input mode is the default one and will visualize both the calendar and the clock views.